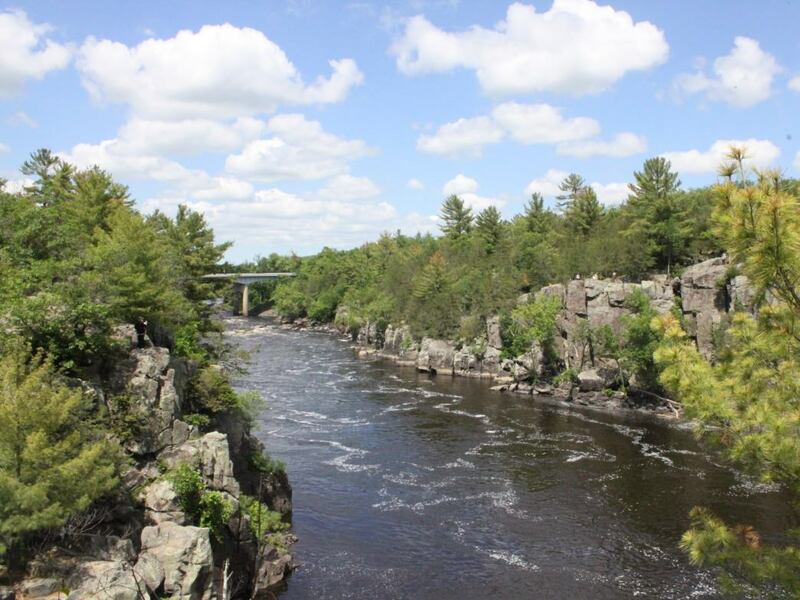 A National Park covering 255 miles of the St. Croix and Namekagon Rivers and adjacent land in Minnesota and Wisconsin, the St. Croix National Scenic Riverway is an oft-overlooked area for outdoor adventure. Just a short drive from the Twin Cities, this is a region that can be easily explored by city dwellers looking for a quick getaway from the hustle and bustle. 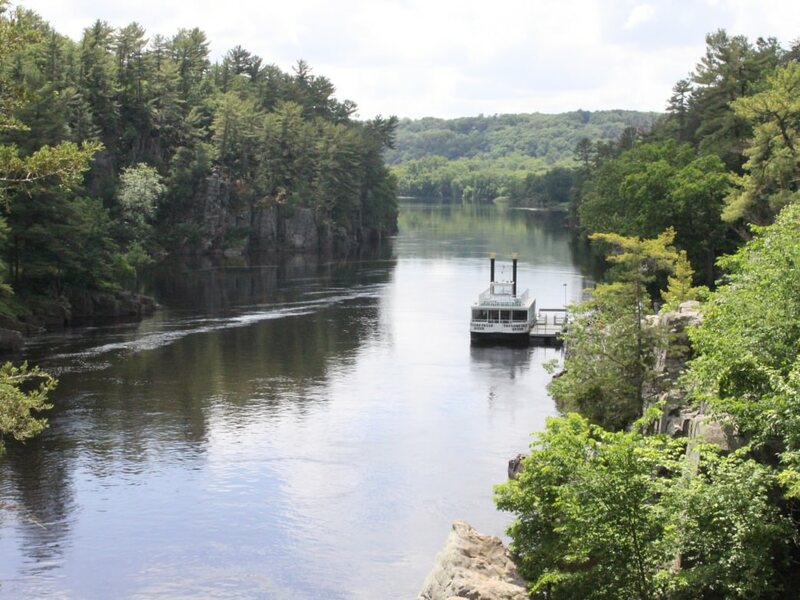 One of the original eight National Wild and Scenic Rivers, the St. Croix National Scenic Riverway gained protected status back in the 1960s, which means that much of the river and the surrounding land has been preserved over the years, maintaining its pristine, natural state. This bodes well for outdoor enthusiasts looking for true adventure or simply a lazy day on the water. We rounded up some of the best activities to put on your Riverway bucket list. From paddling to climbing, this stretch offers a little of something for everyone. Starting at the headwaters near Gordon, Wisconsin, the St. Croix National Scenic Riverway runs more than 200 miles along the Minnesota/Wisconsin border to Taylor’s Falls and St. Croix Falls. This stretch includes 181 miles that are classified as “scenic,” meaning the land on either side of the river is largely wild and undeveloped. This makes for a gorgeous trip nearly anywhere you put in on either the St. Croix or the Namekagon Rivers, which is the St. Croix’s largest tributary. Before heading out on the water, be sure to check the current conditions and river levels reported by the National Parks Service. The majority of campsites along the Riverway are only accessible by boat or canoe and are designated primitive campsites. Depending on the size of your party, there are both individual campsites that allow up to 8 people and 3 tents and group campsites that fit twice that number. These are pack-in/pack-out parks, so travel lightly to ensure that hauling your garbage out isn’t an issue. For more developed campground options, you can also find sites on state and private land in the area that offer bathrooms, dump stations, and electricity. 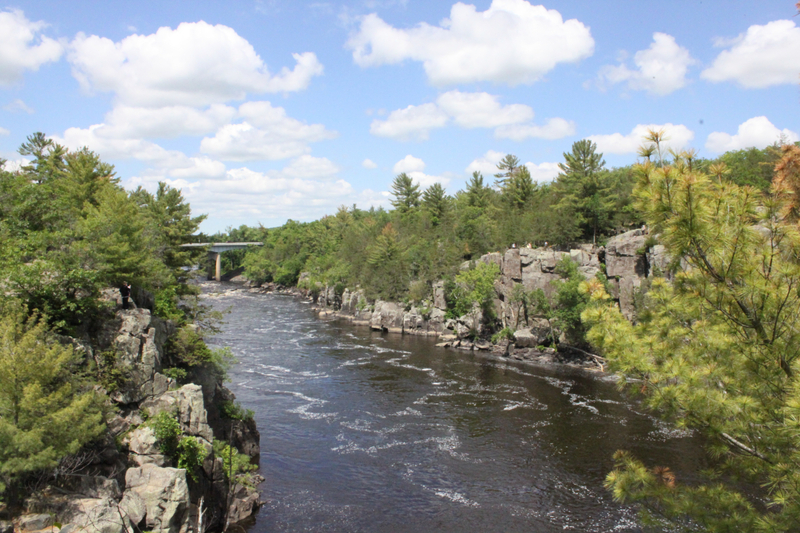 There is no shortage of options when it comes to hiking along the St. Croix National Scenic Riverway. 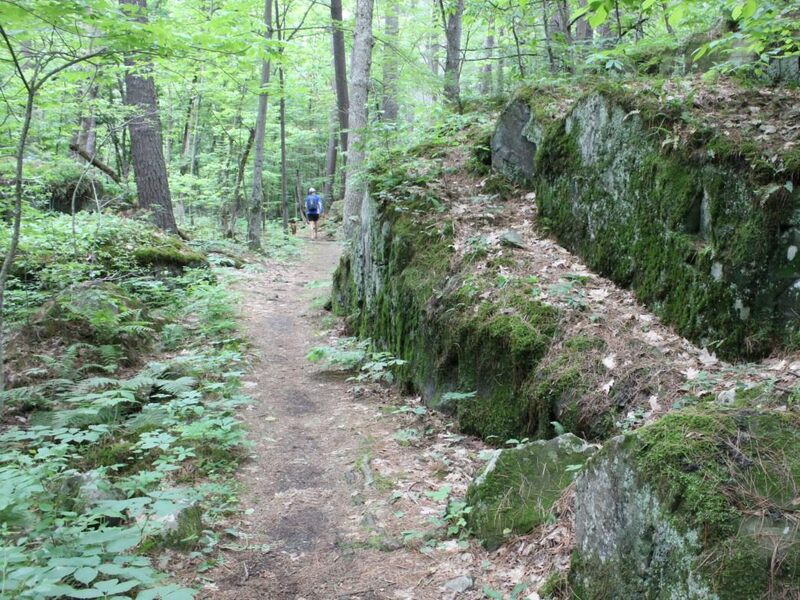 The National Parks Service maintains seven trails of varying distances and levels of difficulty. These trails offer gorgeous views of the St. Croix and Namekagon Rivers, as well as plenty paths through primitive, heavily forested locales. 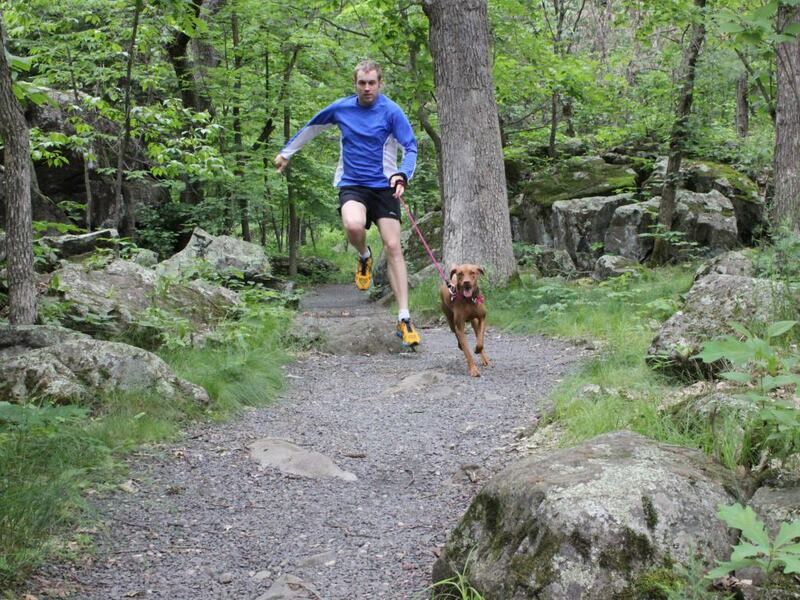 Other great trail systems in the nearby state parks and forests include Interstate State Park . Spanning both the Minnesota and Wisconsin sides of the river, it is in this park that you’ll find a section of the thousand-mile Ice Age Trail . Nationally renowned for smallmouth bass fishing, the upper St. Croix is a must-visit locale for anglers. Other gamefish in the river include walleye, sauger, and muskie. If you’re looking for a whopper, you may even be able to snag a monster catfish or sturgeon. For those new to fishing in the area, contact one of the area’s guiding services to take you out and show you the best spots. From the thousand-mile Ice Age Trail that snakes through Wisconsin, showcasing the state’s unique glacial landscapes, to the 12-mile St. Croix Trail , there’s more than enough real estate to explore on foot along the St. Croix National Scenic Riverway. If you’re in search of something a bit shorter, check out the Trego Nature Trail and the Trego Lake Trail, both maintained by the National Parks Service . Many of these paths also offer great opportunities for snowshoeing and cross-country skiing in the winter. There’s no better way to spend a warm day than floating down the St. Croix and Namekagon Rivers. These clean and pristine rivers offer gorgeous scenery and a gentle current to allow for a wholly relaxing day on the water. If you don’t want to arrange equipment and transportation yourself, be sure to check out one of the many services along the river that can assist you with all your tubing and watercraft needs. 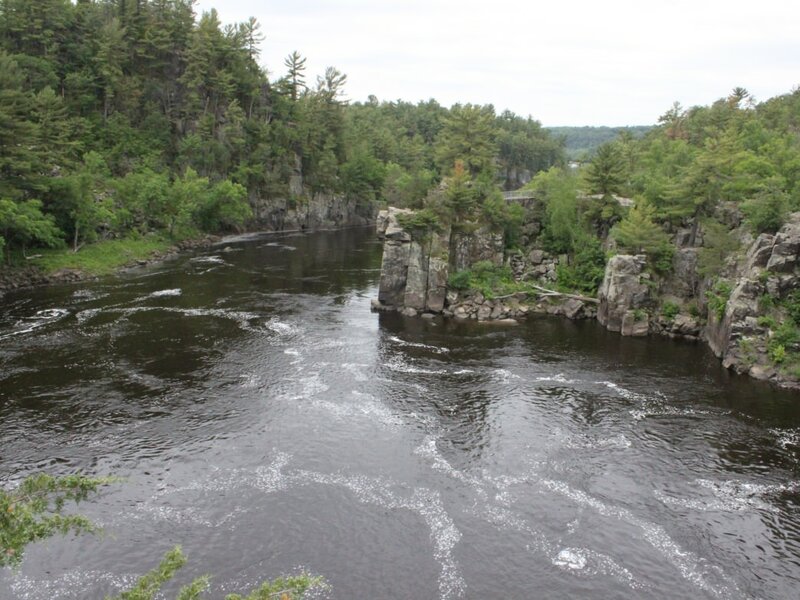 The hard basalt cliffs that overlook the St. Croix River in Interstate State Park beg to be climbed. Formed by ancient lava flows, this area is not only notable for it’s scenery, but also the unique landscape shaped by the last Ice Age. While climbing is allowed in the area, check out information regarding permits before you go. If you’re new to climbing, look into signing up for one of the Minnesota Department of Natural Resource’s classes to learn how to best scale the bluffs of Interstate State Park.